It's important to know some basic knots that are versatile and secure. There are many options of varying difficulty. It can be overwhelming. Many people just settle for tying the Granny knot or some unknown configuration. Neither option is trustworthy. 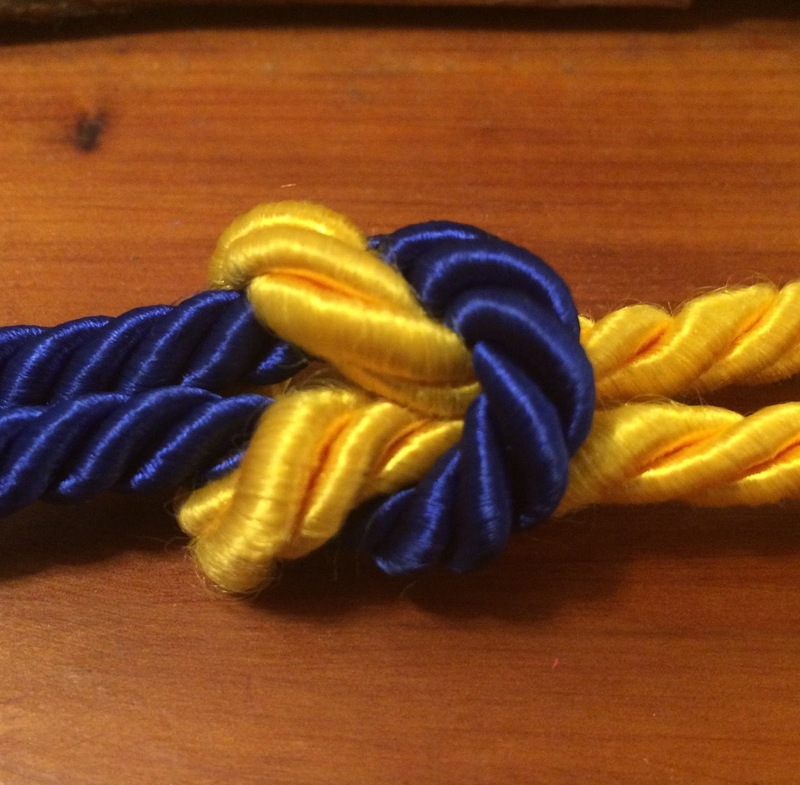 An easy and highly useful knot is the Square knot. This knot is also sometimes known as the Reef knot. It is secure and looks neat too. It is useful for securing gear, tying shoes, and even wrapping gifts. It should not be used when safety is critical such as in climbing or rappelling. But for many other everyday tasks it is a great knot. To tie it take one end in each hand. Tie an overhand knot placing the left end over the right. Then tie another overhand but this time place the right end over the left. When you are finished it should resemble a square, hence the name. For instructions with pictures visit this link http://www.animatedknots.com/reef/. Check back weekly for more useful skills and Bible based lessons! Ashley, Clifford W. (1944). The Ashley Book of Knots. #1402, p 258. Faber and Faber. London. Print.